Due to the increased traffic to this article and numerous emails I can no longer offer support or reply to comments/emails.This article is for educational purposes only. We cannot be held responsible for damages to you or your equipment. Manufacturers add bromine to ABS plastic to act as flame retardant. Over time, those chemicals react to the plastic's basic polymers and turn yellow. Sunlight and Heat accelerate this process. The process uses peroxide and UV light (either a UVA bulb, or simple sunlight) to activate the reaction. This causes hydrogen to bond with bromine free radicals and restore the color. Pure Hydrogen Peroxide with no additives. This is the easiest method and perfect for small items. The peroxide strength ranges from 3% to 12%. Higher concentrations above %3 can only be purchased from Hair Salon stores. This is the simplest method IF the item can be completely submerged. Weaker 3% peroxide requires longer application time. Hydrogen Peroxide Homemade GEL. This method has many names online: seaglow, sauce & retrobright. Recipes & more info available online. Honestly I dislike to complicated process. Hydrogen Peroxide ready made GEL. This method is perfect for large items. The peroxide gel will stick to the plastic during application. "Cream Peroxide 40Vol" 12% Strength. Its found in hair salon stores. Simple, cheap & works. Note: Some versions of Cream contain unwanted bleaching agents that can have unwanted effects on the plastic. Test your Cream before applying to your beloved item. I have also noticed the same issue with retrobright recipes. 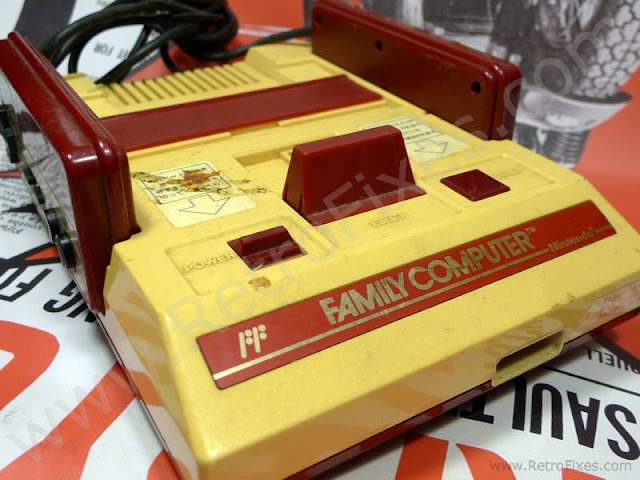 Famicom with the common yellowed plastic. Use protective goggles and rubber gloves. Strong concentrations of oxi-clean will irritate your skin Place the mixture away from children or pets. Be sure to remove all nonessential items from the plastic. 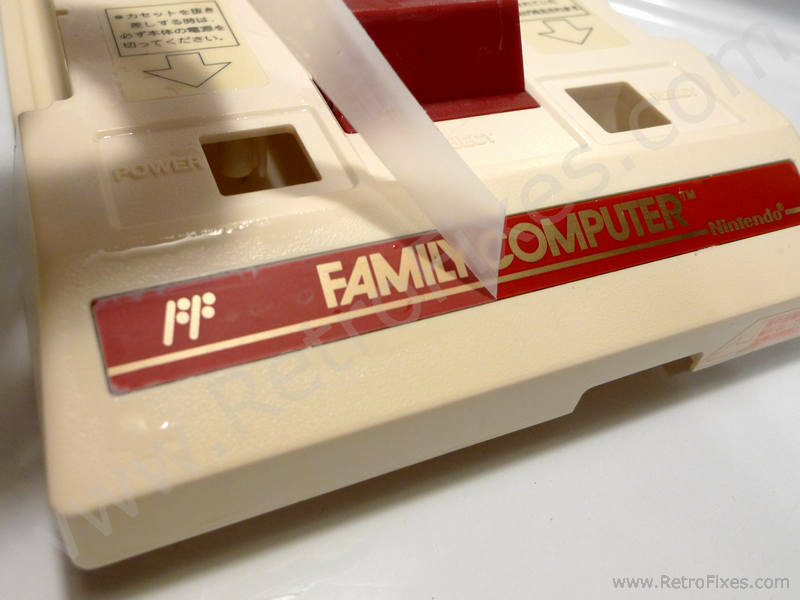 Soaking paper decals and delicate labels is risky. Add 2 Tbsp of Oxi-Clean / Oxi Magic per gallon of warm water. Mix enough solution and submerge the plastic. Allow to soak for 15-30min, scrub stains with a soft toothbrush. Rinse completely after soaking. If plastics are not yellowed stop at this step! Use protective goggles and wear rubber gloves. Peroxide will irritate your skin and can cause blindness! Place the mixture away from children or pets! Be sure to remove all nonessential items from the plastic. This method is only suitable for previously white or light gray plastics. Colored plastics will have mixed results and damage the surface color. Never treat paper decals and delicate labels. 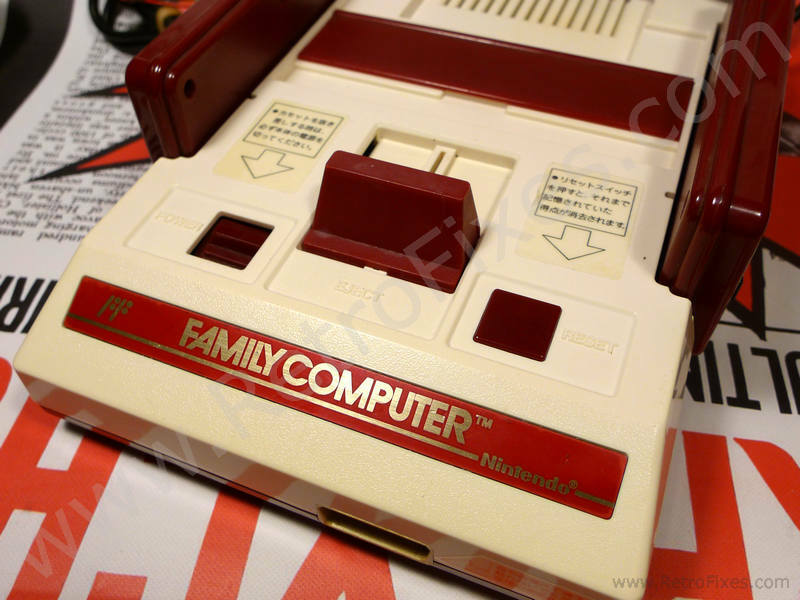 With the Famicom Console below I covered the main logo with clear scotch tape and trimmed the edges. 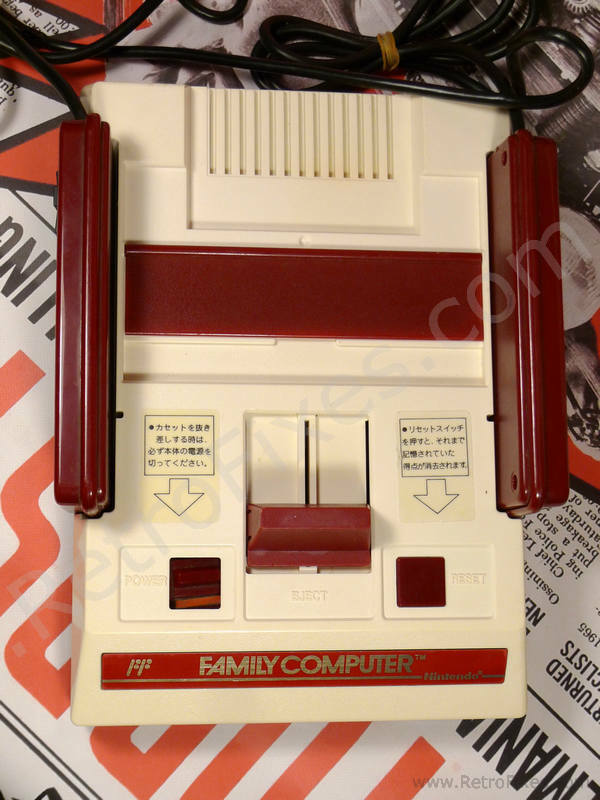 The Japanese arrow stickers were unaffected by the peroxide. Hydrogen peroxide 12%. "Cream Peroxide 40Vol" Found at hair salon stores. No mixing or other ingredients needed. The cream version works like a Gel and sticks to the plastic easily. Use a brush and simply coat the entire piece of plastic. Make sure to coat all areas. Once coated, seal the item in a large ziplock bag or large clear garbage bag. Sit the item outside in direct sunlight. After 3-4 hours the item should turn to its original color, rotate item every hour. Rinse and repeat until desired color is obtained. DO not allow the cream to dry! This will cause scars on the plastic surface. Avoid hot areas such as black asphalt. 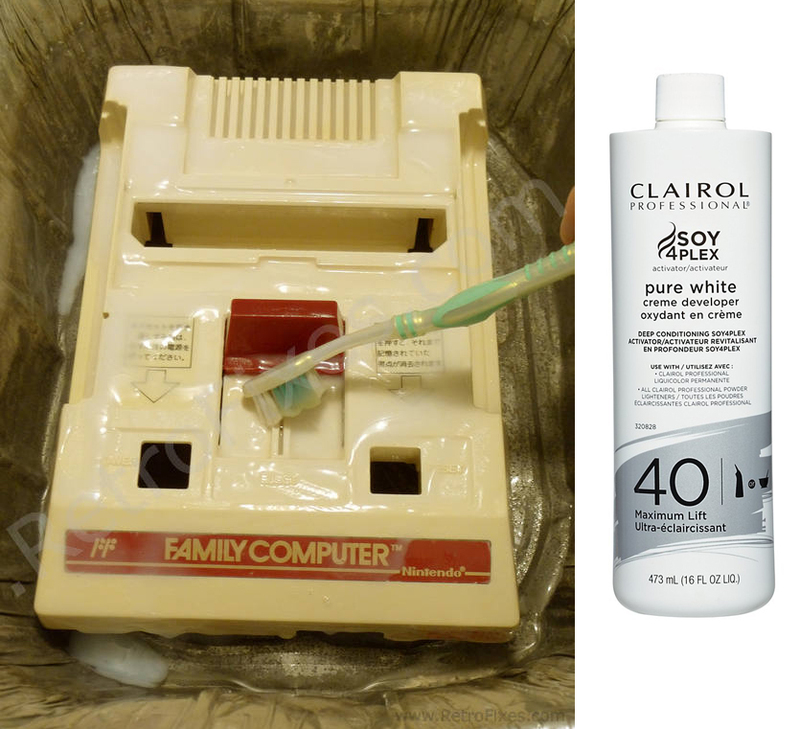 Rinse item completely and remove all traces of peroxide from the plastic. For a complete restoration use a topcoat of Novus Plastic Polish #1 or 303 UV Protectant. These will restore the high gloss and protect the plastic from future degradation. I hope that you find this website useful and informative. Please feel free to leave your comments or suggestions below. Due to the increased traffic to this page and numerous emails I can no longer offer support or reply to comments/emails for this process. this is such a cool site! thanks, thanks, thanks for sharing your knowledge!! 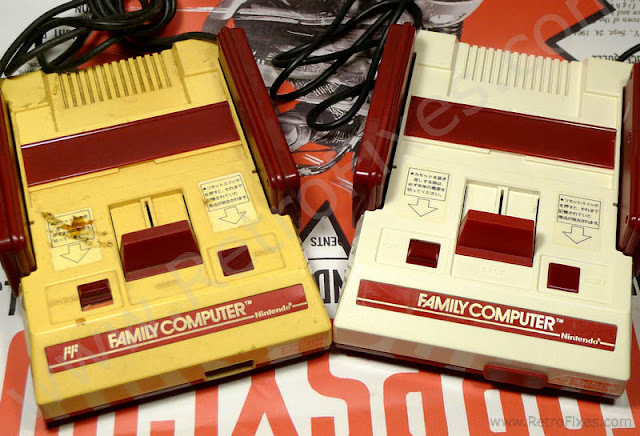 Hi, do you know if this can work with cartridges from Nintendo 64 that yellowed? This method would restore the color if using a pure peroxide (best for non white plastic) BUT.. it would destroy the label. I am a little confused about pure peroxide? The one from beauty supply or another form? I'm going to try the pure peroxide gel. My wife said it's what she uses on her eyebrows. May save me a trip to the beauty supply store. Thanks very much for the excellent info. Happy I could help! Thanks for stopping by. 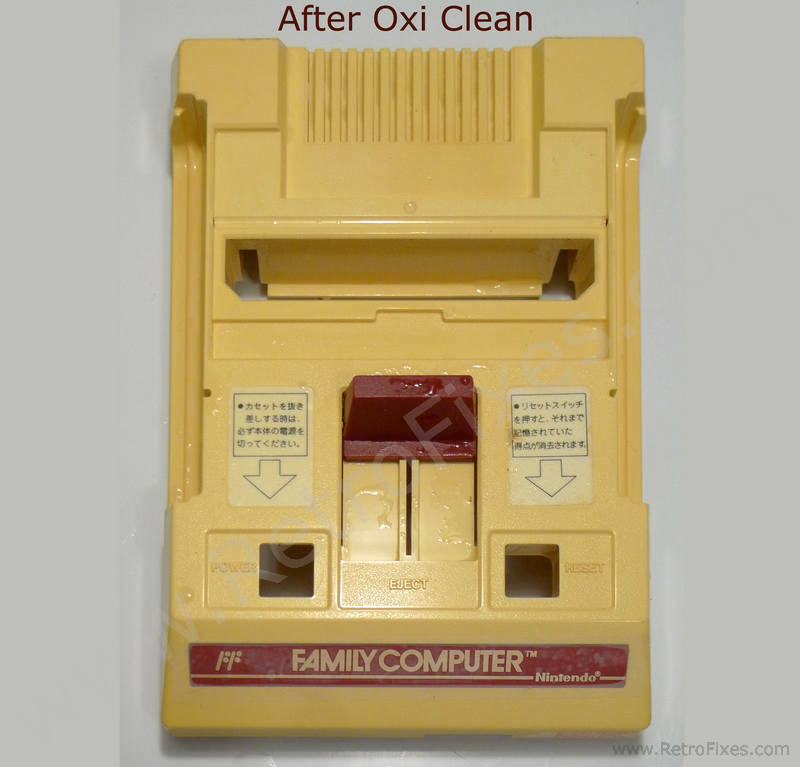 Is the oxi clean stage necessary? No, but it really helsp pre-clean the plastic. I'm getting a Star Wars costume, with Fiberglass and PVC + ABS plastics components. As they turn yellow over time, can I use your 2nd suggested method (hair saloon product) to restore the original white colour? 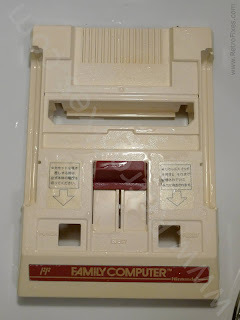 Also, will using the Novus plastics cleaner be good to prevent yellowing in the first place? I would test a small area on the costume first. Is a life sized movie accurate setup? That would be a big project. Yes, I think Novus polish would help prevent future degradation. 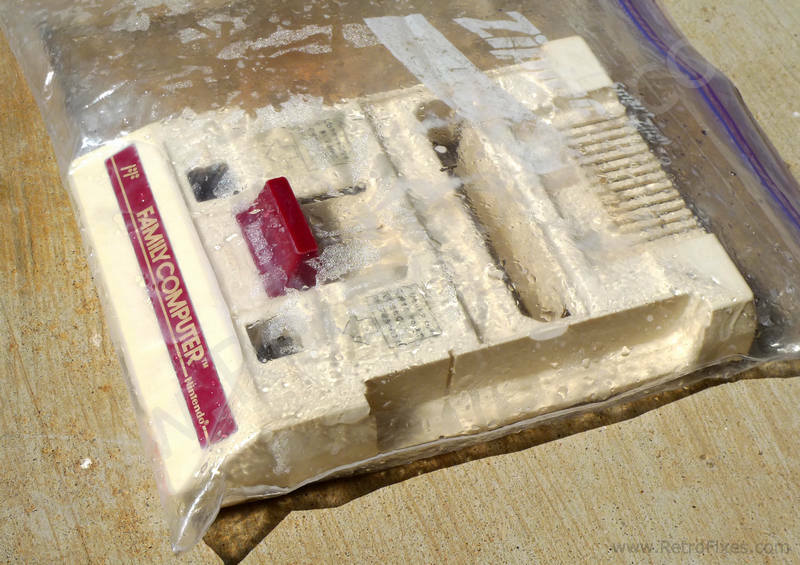 I've heard that exposure to direct sunlight for long hours during the summer months may warp the plastic. Should I wait until the fall to attempt this? 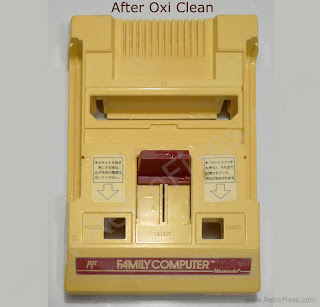 Hi, I haven't seen oxy clean anywhere in my country (Singapore). What is the active ingredient there? Can I just use soap and water to clean, or can you suggest alternatives? Yes soap and water will be OK.
'Lo, there. Fantastic guide, fantastic site. I have a question, though. I'm looking to go the salon gel route. You mentioned unwanted bleaching agents messing up the plastic. Anything in particular I should look out for? Or do you have a recommendation for a particular gel? Do you think this will work for soft rubber plastic? I have a vintage 12" boba fett figure, a common issue with this figure is the jet pack has soft rubber thrusters and rocket head and mine are TERRIBLY yellow. Almost orange now. Do you think this could work? This is not mine, but for an idea this is what it looks like: http://www.imperialgunnery.com/12%20Inch%20Line/12%20inch%20feet%20rocket%20pack%20orig.jpg - it's also very difficult and maybe not possible to remove the parts from the jetpack without damaging the jetpack. Would the hard plastic color parts be effected by this process? I would like to try this on a veneer surface.Do you think it will work ? Also is the plastic bag needed? Or can it just hang in the sun? I'm thinking of trying this to renew my old OmniBot 5402. It's too big to put into a ziploc bag to prevent drying.... any suggestions? I love omnibots and have owned a few. You would need to completely dismantle the robot. Parts can be covered in cling wrap and exposed to sun. Just keep an eye on it do not let the solution dry onto the plastic, that's the key. Wear gloves & goggles! The plastic box of my T Top is turning yellow. I believe the heat that is generated by the black sumbrella boat cover is turning the white plastic yellow. Is there a way I can treat it with the Hydrogen peroxide 12%. "Cream Peroxide 40Vol" found at hair salon stores while the unit is mounted on the T-Top? Is there a way to prevent it from turning yellow again? Thanks! What do you for a 1950 pink plastic bread box that I bought and it is so yellowed badly. I don't want to ruin the finish but I need to do something about it! What type of peroxide do I use on it! I was so proud to get and got ripped off, please help! What kind of uv lamp should i use? I'm trying to use a face tanning lamp (it says uva) but doesn't work that well (after 2 days the plastic is better but still not good). I have a yellowed hess truck on 1 side, i thought a bout what you said and if i did it, would it damage the green areas and chrome? Yes not safe for that item. The only way it Might work is mild over the counter 3% and fully submerge the truck. Use full sun and monitor closely. I need to clean the controls of my shower, which are white (yellow!) plastic. As such I can't take it outside as they are sealed to the wall. Can I use a UV lamp or perhaps just leave it for a longer time? Thanks for the guide. Awesome! The brushed on peroxide cream worked beautifully on my Braun electric juicer. I just put my 20 year-old Ott light out in the sun to bleach. Thank you for this great site. That is great news! Glad I could help. I have tryed this and its still yellow does the sun need to be out because it was cloudly for the 4 hours it was sat out side. I'm not a chemist so I don't know what can safely be left out. Hi, I've got a washing machine that is about 4 years old. When we moved to our new house the top and side has discoloured closest to the door which has tinted windows so I am guessing that is what has caused it. We are moving to a new property where I won't have the same problem so would like to whiten the plastic again. Would the hair salon peroxide work for this and do I need to worry about the other chemicals that might affect the plastic? Do you think it will work on a babyhigh chair tray? Will this work on Pvc decking? Will this work a on pic decking? Thank you for the great article. Now it´s 3 years ago, how is the famicom looking? Still white or did it turn yellow again? What about clear plastic...will this work? Going to try this today. THANK YOU for writing this!! THANK YOU! 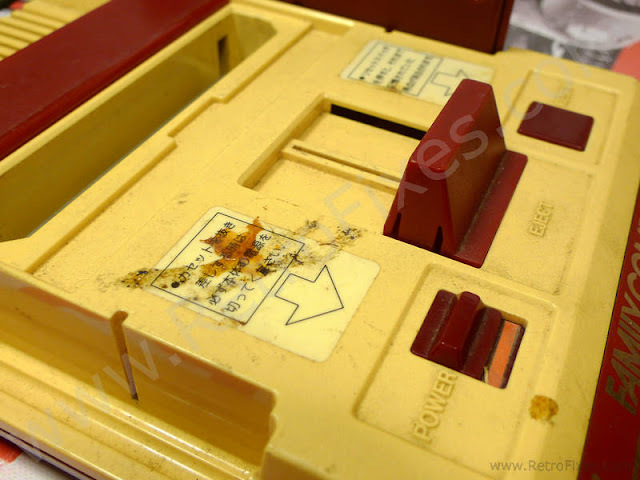 If you accidently let the plastic touch the console during the restoration process and it left a mark or "scar" can that be re-done to remove the mark? Unfortunately the effect is only temporary. In a few years it will be yellow again. I found it went yellow again within just weeks. Far quicker then the several years it took to turn yellow in the first place. It's a shame there's no way to stop it. I find it odd that the article mentions to use a UV protectant, because it's UV which stops plastic yellowing (and is used to whiten them in this article) so applying UV protectant will rapidly accelerate the yellowing - not prevent it. My original batch of cleaned consoles from (2011) are still perfectly white. Used the process above. Same reports from countless others. Novus UV blocker does not accelerate or cause yellowing. It's designed to protect plastics from UV exposure and damage. UV is needed to activate the peroxide process. 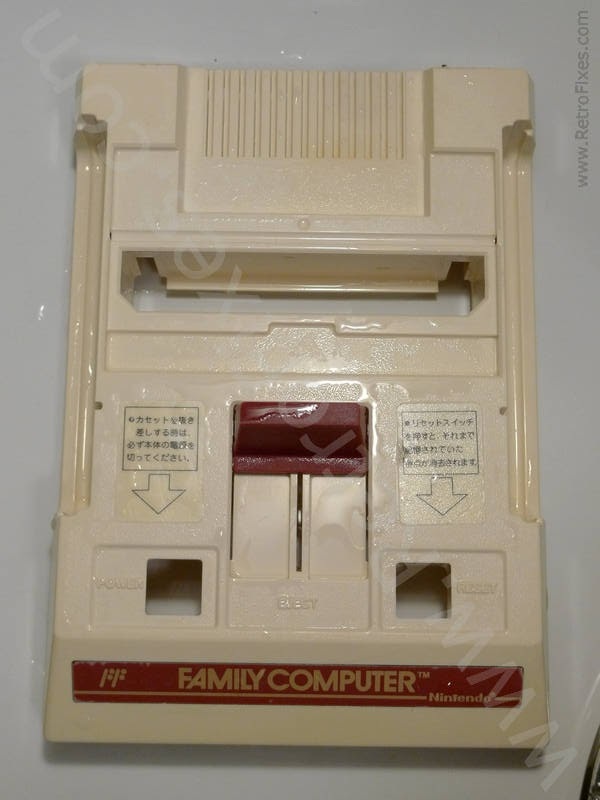 It's the only time direct sunlight and UV is ideal for plastic. Has anyone try it on bakelite or xylonite? appreciate the reply! Thanks. Has anyone tried just soaking the part they are trying to whiten in Hydrogen Peroxide? Because in theory, if the idea is to get Hydrogen atoms to bond with Bromine free radicals (ie Bromine ions, or Br-), then first of all, you would be better off using a strong, inorganic acid like hydrochloric or chromic. You can purchase Hydrochloric acid under the name "Muriatic Acid" from hardware stores like Rona. Hydrogen Peroxide is a fairly weak acid, which means that the rate that it dissociates into H+ and OOH- is slow, producing fewer H+ ions in solution. Second, if all you have access to is weak acids like H2O2, then you still don't really benefit from UV light. You don't need any sort of catalyst or external energy source to either release the H+ atom from the H2O2, it does that by itself, or to get the H+ and Br- to combine, that is a spontaneous reaction under standard conditions. I would like to try this method on an 80's soccer ball phone. About half of the white diamonds have yellowed. However, I don't want to bleach the black areas - do I need to cover those areas? And it is in working order so I don't want to damage the inner workings with moisture. Any thoughts on how I should proceed? Thanks! 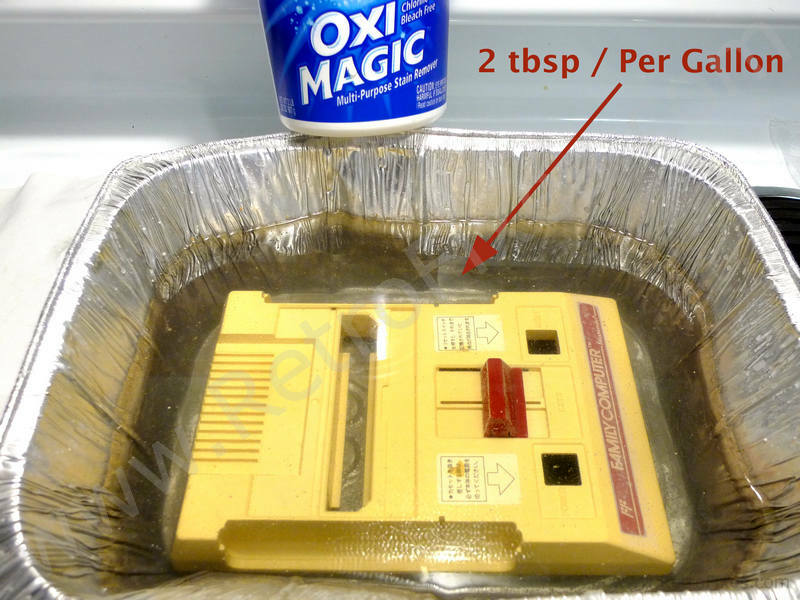 Boil vs Bending - Will Boiling The NES 72Pin Really Work?